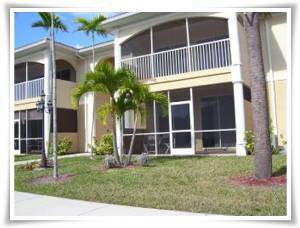 Spacious Luxury Condo in South Fort Myers, only minutes to the famous beaches of Fort Myers Beach & Sanibel Beach. 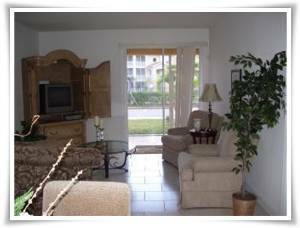 Condo is directly off historic Mc Gregor Blvd, lined with majestic palm trees. Community pool & tennis court. Close to shopping, fine dining and entertainment! 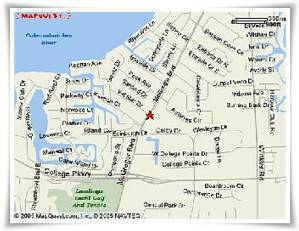 Close to Sanibel Island, Ft. Myers Beach and Cape Coral. Baseball parks within 15 minutes. Publix grocery store 2 blocks away. 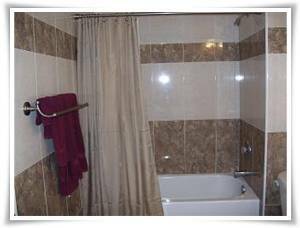 Professionally decorated unit with all new furniture. You will be impressed with the details and finest pillows and linens. All mattresses are high quality. 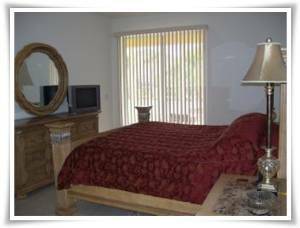 Can sleep up to 4 comfortably with 2 bedrooms, 2 bathrooms. Master bedroom has a king size bed with a private bath and walk in closet and TV. Bedroom Two has queen sized bed, dresser and bed tables. 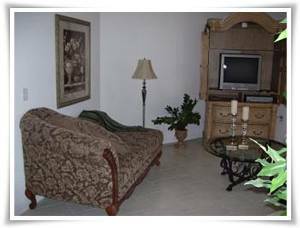 A comfortable, roomy living area with cable TV and VCR is open to kitchen and dining area. 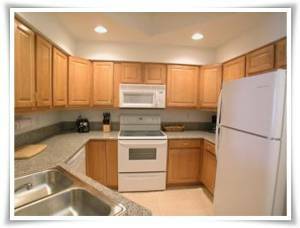 Kitchen has wood cabinets, Granite countertops, flat top stove, ice maker, microwave, toaster, blender. Relax on the screened lanai (porch) with small table and chairs. 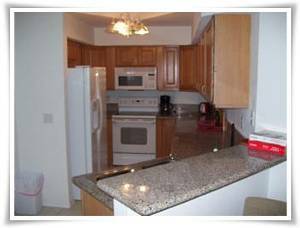 Unit has a washer & dryer in the unit, fully-equipped kitchen, iron and board, 2 Cable TVs with upgraded viewing channels and VCR/DVD. Beach chairs and beach towels. Unique courtyard style entry halls will remind you of Europe with brick pavers, walkways, skylights and ceiling murals. Parking close to unit and handicap parking close with No Steps to unit. Pets and weekly rentals are not allowed. No phone in unit, bring your cell phone. Just bring your toothbrush & suitcase! All bedding, linens & towels are provided. Multiple monthly rent is negotiable. Recommendations furnished upon request from previous renters.